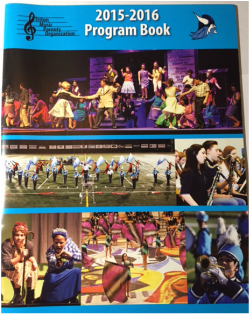 TMPO publishes an annual Program Book that is given out throughout the year at Triton High School and Middle School preforming arts shows and concerts. The book gives local businesses and individuals an opportunity to support our performing arts students by purchasing ads and congratulatory messages. We are truly grateful for everyone who, year after year, helps TMPO continue its tradition of supporting the arts in our district! 1. Buy a friends and family ad to congratulate your child(ren) on a great show! 2. Take the form with you and sell an ad to the businesses you frequent!